In a strange, disturbing way, the Nazis have done a great deal for gaming narrative development, to say nothing of films, books, plays and television. Less than a century ago we had a real, indisputably evil common enemy flying planes over our heads, killing innocent people en masse and plotting to rule the world. In reality, it’s anything but black and white, but for game developers who want to build an exhilarating first person shooter rooted in real life events, it’s the gift that keeps on giving. The Great War, by contrast, is far harder to market that way. Even remembrance, the most well known marker for the tragic evens that took place between 1914 and 1918, is not without its controversy. The one clear point of it all is that it was hell on Earth, nobody was in the right and millions died needlessly. You can’t really frame a Wolfenstein game around that, although plenty do exist. 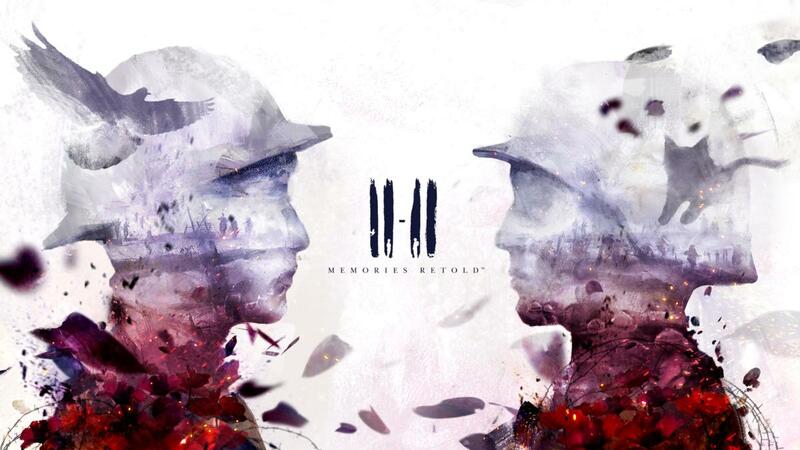 So, just in time for the centennial of the armistice this Sunday, we have 11-11: Memories Retold, a game set in WW1 which has you playing as soldiers on both sides – Harry, a Canadian photographer voiced by Elijah Wood, and Kurt, a German mechanic played by Sebastian Koch. Harry entered the war to impress a girl (I’m more than certain plenty of real Tommys did this), but quickly discovers that he’s way in over his head. Kurt, meanwhile, starts the game plying his trade in a Zeppelin factory, before heading to the front to search for his missing son – Max. The combination of idealism and desperation makes for a potent guide to the unfolding conflict, and the style of gameplay lends itself beautifully to the narrative. It’s anything but challenging, tasking you with a series of ‘take thing A to person B’ style tasks which help push the parallel stories forward. There are quirks, like Harry’s trained bird, for example, but it’s nothing new or earth shattering. 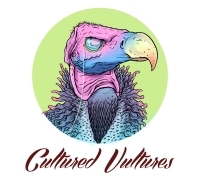 What is new, and perhaps the most prominent aspect of the game is the art style – the entire game is built in a painterly world which looks like a living canvas, comparable to the recent Loving Vincent film. To achieve this, the animators (Aardman, of Wallace & Gromit fame) had to build in layers of moving texture and bending light over the characters and environments, and while it takes some getting used to in the early stages of the game, it becomes hypnotic. Equally so is the score, composed by Olivier Derivière (Assassin’s Creed: Black Flag – Freedom Cry, Remember Me), really roots you in the environment. It’s a lot more sombre than the more recognisable historical war game scores, for obvious reasons. Some sections of it are fluttery and light-hearted, particularly during Harry’s early levels, and while things never descend into any kind of bombastic dread, there is an undercurrent of threat which permeates both Harry and Kurt’s sections, however distinct they might be. Towards the beginning of the game that distinction is very important, not just in terms of the music but also the flow of the game. You choose when you start whether you want to play as Harry or Kurt, and then the perspective switches when you reach the end of a given chapter. If you start with Harry, the naive, somewhat light-hearted interplay shifts to a dramatically darker tone when you’re dropped into Kurt’s boots, but as the game progresses, the two sides start to mirror each other until they inevitably converge. Throughout this, you’re given a window into aspects of the war that games don’t usually let you experience. Sure, you see the infamous Battle of Vimy Ridge, twice in fact, but you also get to see what it’s like to step into no man’s land to retrieve the dead, or board the trains bound for the front. It’s an educational experience as much as it is an emotional one. The trouble is that the actual act of steering Kurt or Harry through these experiences lacks for much nuance. Characters move slowly, with only a very basic set of options. Interplay and dialogue with other characters is limited, at best, and their oily, convulsing faces, while in-keeping with the style, aren’t what you’d call good at conveying emotion. Since the game is so tightly affixed to the story it’s trying to tell, it’s not the sort of thing you’ll have much incentive to dive back into. By the very nature of the design, you see everything that you need to see on first playthrough, perhaps barring the odd letter or collectable you may have missed. The important ones are so clearly signposted it’s nigh on impossible to miss them though, everything important is framed in a glowing aura. The only real draw for replayability comes from the moments in which you are given more freedom of choice, such as in the letters Kurt writes to his wife, but these are still somewhat limited in scope so it’s hard to imagine anyone diving back in for another six hours of gaming just for that. In the final third of the game, you are given much more freedom to pick your own path, something with is aligned with a key change in the narrative which quickens the pace and cakes on more tension. What had previously been a slow boiling path into the world of war gains urgency, and the sequences which have you fighting for your survival (albeit without ever actually shooting anyone) are more tightly stacked. While it would be reductive to suggest that such a poignant game is at its best when violence is involved, the stealth sequences that task you with listening out for machine guns reloading before dashing for cover are by far the most engaging. The plodding gameplay during more sedate passages does bog things down somewhat, a common, recurrent flaw with games like this – it’s certainly the right format for the story but sometimes the challenges and tasks necessary to keep the player engaged end up feeling forced or unimaginative. It’s an unfortunate trade-off, but the strength of the narrative twinned with the stunning visual design stops it from interfering with the immersion. 11:11 is a fine game, and it would be wonderful to see Aardman, Digix Art and Bandai continue to produce content like this.